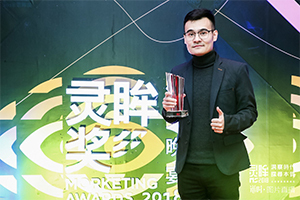 Hosted by renowned industry media PocketGamer, the Mobile Games Award, regarded as the “Oscar” in mobile gaming industry has announced its nominated candidate for 2019 winners. After months of judging process, the independent jury group nominated candidates in 20 categories. 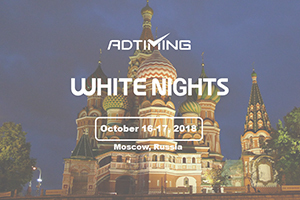 Under the “Best Advertising & UA” category, AdTiming is nominated and will compete for the final award with top companies like Facebook, Google Ads, Unity Ads, Vungle, and ironSouce. 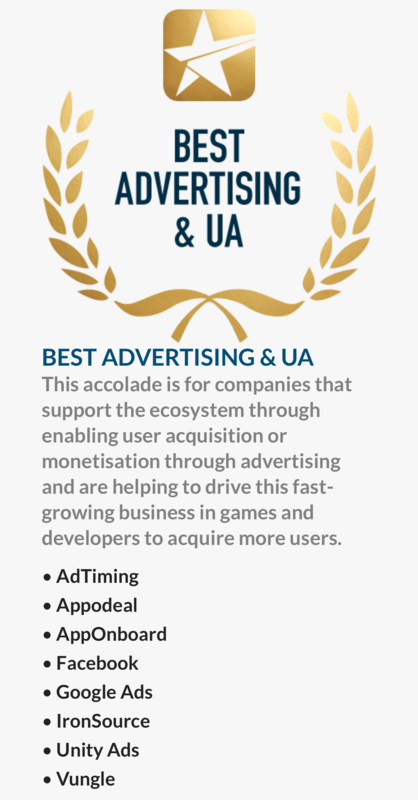 “Best Advertising & UA” is awarded for companies that support the ecosystem through enabling user acquisition or monetization through advertising and are helping to drive this fast-growing business in games and developers to acquire more users. As the largest mobile game media in the West, PocketGame has always been a key influencer, providing the latest and insightful information. Since 2016, to honor top developers and service providers of the industry, PocketGamer hosted the first Mobile Games Awards, which had been a breaking news. 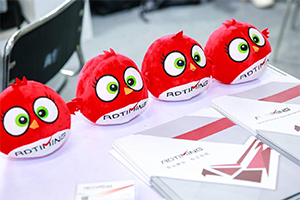 100 industry experts will decide the winners of 20 categories for Mobile Games Awards 2019. The final result will be announced in PG Connect London on January 22nd, 2019. 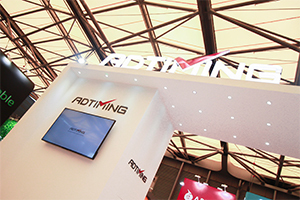 At the venue the best service provider will also be honored.